It was compelling, even rather surreal to be invited to observe the 2015 parliamentary elections in the Republic of Azerbaijan. Azerbaijan is a former Soviet republic located in a tough neighborhood on the Caspian Sea and between Iran and Russia. Despite its locale, this majority-Muslim nation has a well-earned reputation for its progressiveness, tolerance of religious and ethnic groups and as pro-Western strategic outlook. Granted, I have written about the psychological plight of the nearly 1 million Azerbaijani refugees, (termed internally displaced persons by the UN), who were driven from their homes 24 years ago during a war with Armenia—Armenia now occupies roughly 20% of Azerbaijani territory, but nothing have I written about the fairness of Azerbaijan’s political system. I cannot comment per se on the current policies leading up to elections–there has been a good deal of criticism related to the lack of opposition parties and opposition candidates, and I admit that I can only report on what I saw on the election day itself. However, as a psychiatric professional and U.S. citizen (and voter for the last 29 years), I can share my observations of the lived experience of the Baku voters on November 2, 2015. 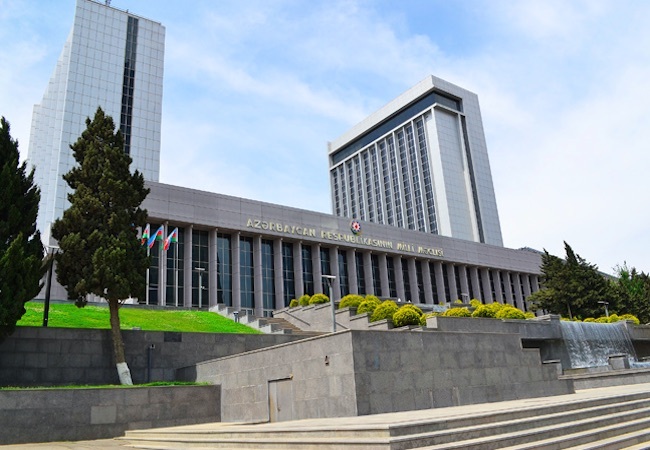 The following are interesting lessons one can learn from Azerbaijan’s parliamentary elections. Of the many elections in which I participated, in 4 states throughout my 29 years of voting, I was asked for my ID a total of, wait for it, one time. I’m not even sure this was intentional, as the volunteers at the time, dear and sweet as they were, had trouble deciphering the names on their lists of eligible voters. In contrast, in Azerbaijan I witnessed quite the opposite: if you don’t present an ID that is, in turn, matched to voter lists, you don’t vote. Period. Importantly, I understand that the authorities encourage and facilitate ID issuance to voters prior to every election in Azerbaijan. In addition, the state-issued ID is a necessity for daily activities in Azerbaijan. This brings up several questions about the right to vote in the U.S., as well as obstacles for low income voters who may have a residence (or may not) but no ID. However, ID is a necessary safeguard. If financial resources are creating obstacles for such individuals, then perhaps the political parties urging the voters to get to the polling place can help organize drives for voters to get their IDs at low to no cost. This could have the additional benefit of the unidentified voter to be able to sign up for benefits that could improve the quality of life of the voter, such as medical insurance, temporary/permanent housing, obtaining past records, etc. Azerbaijanis have included other fail safes for voting fraud, including the use of an ink system developed in Europe. Polling place volunteers simply spray an invisible ink on the thumb of the voter. At the beginning of the voting process, the thumb is checked by an ultraviolet light for being inked previously. If so, it is a clear indication that the voter is attempting to vote multiple times. Seems simple, no? Other fail safes include tracking each ballot with a simple perforation so that the number of ballots in the ballot box corresponds to the number of votes. Keep districts immune from gerrymandering. I spoke with several voters, diplomats, and even a member of parliament to learn whether districts change periodically according to voter demographics. The response was a unilateral no. Voting districts match geographic districts (much like U.S. states) within the borders of the country. Think of how ideal it would be to eliminate the ongoing political hijinks attempting to match voting districts and their constituencies to favor one candidate or another, instead of the other way around. Mindfulness and a willingness to change. The political system of this emerging democracy faces challenges and is often criticized for its deficiencies, still Azerbaijanis want to continually refine their voting process to meet the standards of democratic processes throughout the world. Thus, they invited numerous of observers from various countries (including Germany, Israel, Italy, and the U.S., among many others) to observe and provide commentary to the international community, domestic news stations, and those in charge of Azerbaijani voting protocols. When was the last time the U.S. did that? Democracy is not perfect, nor is any voting process. Does anyone remember our hanging chads? It is also important to note, however, that the citizens of this young country (only 24 years old, since the fall of the Soviet Union), want to maintain dignity. When the Azerbaijani government sent an invitation to the Organization for Security and Cooperation in Europe (OSCE) to observe election, the OSCE insisted upon taking hundreds of observers to Azerbaijan to observe the elections, more than any other election to date. Azerbaijan requested the number to correspond to the number of electoral districts, i.e. one- hundred-twenty five. In a show of stubbornness both sides stuck to their positions with OSCE canceling the observation mission. In fact, according to my sources, the government of Azerbaijan was willing to allow OSCE to observe, but wanted to simply know why the stringencies of the system would surpass any other country in the world, including those in the Middle East. This dialogue was not welcome by OSCE and they did not send observers, which resulted in negative press that did not reflect the obstacles that OSCE itself created. This was a perfect example of an international organization, the OSCE, engaging in a play-ground argument with a member state for no substantive reason. And one would think that OSCE’s mandate was to help with elections in the region! The 2015 parliamentary elections in Azerbaijan were conducive to Western norms of voting and democracy. However, opposition parties and opposition candidates should be encouraged to run for office more often and in a more robust manner. The voters were calm and genuinely interested and involved in the process. Fail safe measures were undertaken, including identification requirements, ink spray, and ballot tracking. There was transparency, both internally and externally. Gerrymandering is non-existent and the Azerbaijanis genuinely wish to have a free and fair election process. There was also an eagerness to learn and a dedication to do things akin to democracies around the globe – much like the government itself. Dr. Mallory Moss received her doctorate at the University of Colorado and is a Board Certified Nurse Practitioner of Psychiatry. Dr. Moss is also a clinical nurse specialist in psychiatric nursing and received her Master of Science (MSN) at the University of Colorado and Bachelor Degree in psychology at UCLA. While at UCLA, Dr. Moss worked with Dr. Edwin Shneidman on the psychology of death and suicide and with Dr. Leo Kuper on genocide in the Sudan. Dr. Moss is currently serves at Colorado’s prestigious Mental Health Center of Denver. The author received a free trip to Azerbaijan because she writes about the plight of Azerbaijani IDPs created by the war Azerbaijan chose to wage on its own Armenian residents. Baku should have thought about the chaos of war before they engaged in their pan-Turkic adventure. As payback for her free vacation, she claims elections were “conducive to Western norms of voting and democracy”. Every election in Azerbaijan has been a shame. This one on Nov 1 was promising to be so bad that the Organization for Security and Cooperation in Europe (OSCE) said it will not monitor Azerbaijan’s November parliamentary elections “due to restrictions imposed” by the government. Of course opposition parties are in hiding, many of its leaders are in jail. Azerbaijan ranks 5th out the Top Ten Censored Countries, ranking worse than Cuba, Myanmar, China, Iran, Vietnam! The author really should have chosen a better topic to write about. Azerbaijan is ranked 9th on the list of 10 world’s worst journalist jailers by the Committee to Protect Journalists for 2014. But when you consider the per capita rate, it is second only behind the world worse offender, Eritrea.